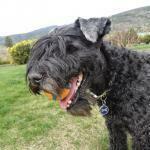 @sartoric, Tere may be right about the spring greens. I've never grown cabbage in a hot climate, but I used to grow kale (related) from seed in Memphis, TN in fall after I had ripped out the spent annual flowers from a bed along the wall of my house. In mild winters, the roots wintered over, and I got another spontaneous crop in spring before time for more flowers. I like to harvest the greens young and tender. I know you have some interest in gardening from your posts about growing basil, bird's eye chillies and papaya in the Gardening thread. The papaya tells me it gets pretty hot, and never too cold, but it got to 112 F one summer day in Memphis, so maybe it would be worth a try if you can find some seeds when your cooler weather comes. @HungryChris, I also had chicken and dumplings today, but not gyoza and wings, and a brief, but supremely inconvenient, power outage yesterday! Spectacular dinner you produced, especially with no power, and glad your generator is working well. I hope your power comes back on soon. Yesterday I roasted a chicken and served it with homemade stove top mac and cheese with white American cheese, and a simple salad of green leaf lettuce. This was preceded by a repeat of the knife-cut zucchini noodles in garlic butter with parm. This is a keeper. I cleaned the kitchen after a very satisfying meal, and all was good until I noticed the dishwasher was leaking on the floor. I got the sponge mop and was keeping up with it pretty well until the power went out with a boom, crash, explosion a little after 11:00PM in the storm. Another tree down. In the few minutes it took to call in the outage, locate a flashlight, matches and get some candles lit, the kitchen was flooded with a couple inches of standing water in the low spot between the fridges! Fortunately power was restored in a little over an hour, but I was still working on restoring order to the kitchen. At least I had a working washer and dryer for the soaked, thick area rugs I have everywhere in the kitchen. Unbelievably, this is the second time I have cleaned my flooded kitchen without power. The first time I cut off the circuit breakers myself, fearing electrocution from a broken pipe. Today I made a gravy from the drippings and stock from the roasted chicken, and milk, thickened with flour roux with the schmaltz, and added some of the deboned and chopped leftover chicken and topped with my fluffy dumpling recipe. Delicious with some steamed broccoli and sliced tomatoes. Chicken gravy makes a delicious dipping sauce for broccoli. Naturally, dishes were washed by hand and will be until the dishwasher is fixed. It actually wasn't much more active time than nursemaiding the horrible dishwasher and a couple hours less total time. Wow, that power outage and flooded kitchen sounds horrible. I hope you got a good rest after all that effort. It's rare to get below 10 C here even in the middle of winter. Not sure about the cabbage growing, but worth a try if I can find the right seeds. Our autumn (fall) officially starts in a few days, although leaving them until May might work. Good idea @Thanks for the Crepes. Anna – it was one of these: http://uniqsource.com/household/cuisinart-vertical-rotisserie/ That was a 4 1/2 lb. roast and was as big as I’d go. It works beautifully for roast beef. 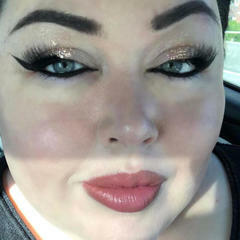 Marlene, who used to post here, told me to up the temp to 425 and baste with butter, and since she’s the queen of roasts, that’s what I do. I especially love using it for this meal because it frees up the oven. Between the roast, the potatoes, the sprouts and the Yorkies, I used the rotisserie, the oven and a large toaster oven! sartoric – thank you! I love that you use pineapple with your pork stir fry. They go perfectly together and you don’t see folks doing it very often. I served a similar thing to some friends and they were very suspicious and ended up asking for the recipe! Yorkies (heated up perfectly in the toaster oven), broccoli and gravy smothered beef and potatoes. The beef was a little tough last night and I remembered that I had bought two of these and the last one was also tough. The flavor was great, though. So simmered in gravy was the perfect way to go. Tender and delicious. I’m turning it into beef stew tomorrow. I am sick of beef! Thanks. I could not get your link to work for me but I'm guessing that your rotisserie is very similar to mine. When the price of beef comes out of the stratosphere I might attempt this. Thanks again. It looks a little more sophisticated than mine but I bet mine would do a fine job. Frog legs, shrimp, rice and brussels sprouts. 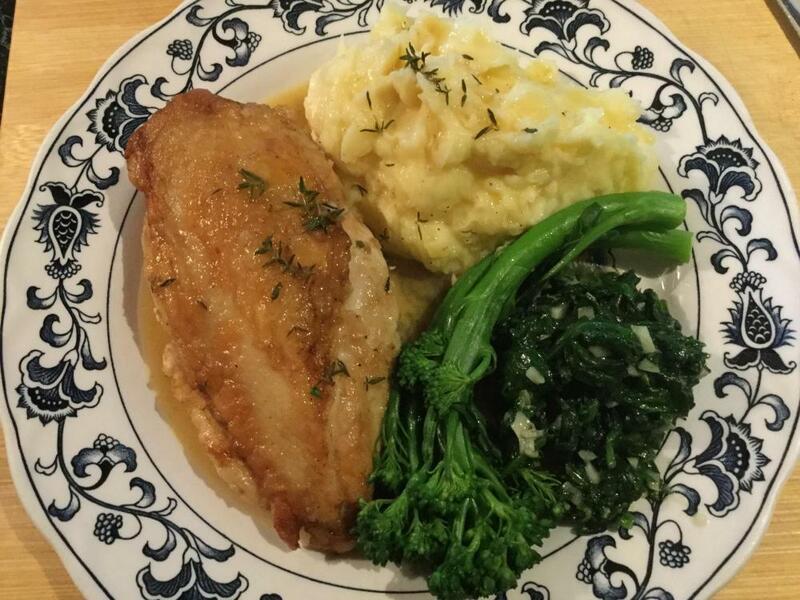 Pan fried chicken breast, served with mashed potatoes, broccolini and garlic spinach. A sauce made with pan juices, chicken stock, white wine, lemon juice, thyme and butter gets poured over. Still on vacation and have mostly been eating out but here is one dinner I made at the rental villa the other night. 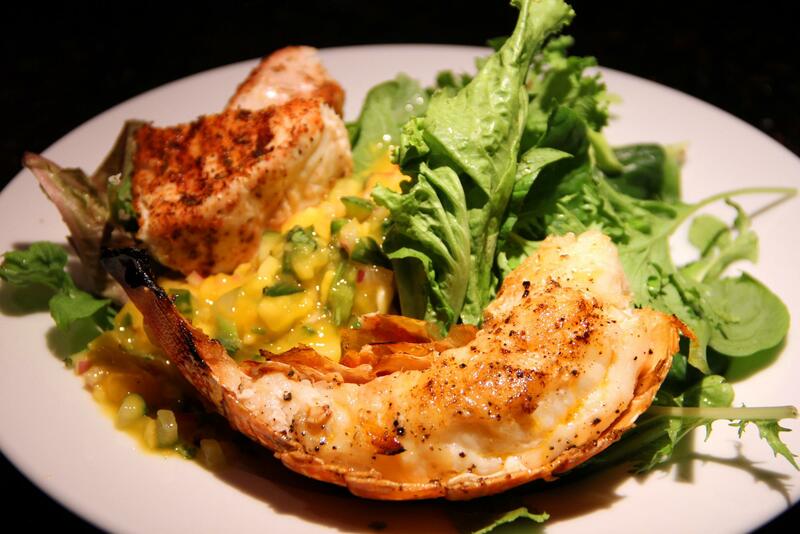 Grilled Caribbean lobster tail and mahi mahi with a mango salsa and some local salad greens. My riff on Scottish Cullen skink. I used a Chinese wire skimmer to mash the potatoes then it occured to me the patterns would help the camera to find a texture. It worked. Found some fresh, small, Point Judith squid today and made fried calamari. A fresh potato salad side and spicy kimchi tartar sauce makes it a favorite. I made french fries à la Shelby for supper and they were delicious. Since I wasn't sure of the temperature settings, they took a little longer, about 60 minutes vs. the expected 45. They were nice and crunchy and best of all, they weren't greasy. I never did like the double fry method as I always seemed to end up smelling like a grease pot, as did the entire kitchen. So, thanks, Shelby! We'll be having them again. By the way, has anyone tried this using sweet potatoes? We love sweet potato fries. 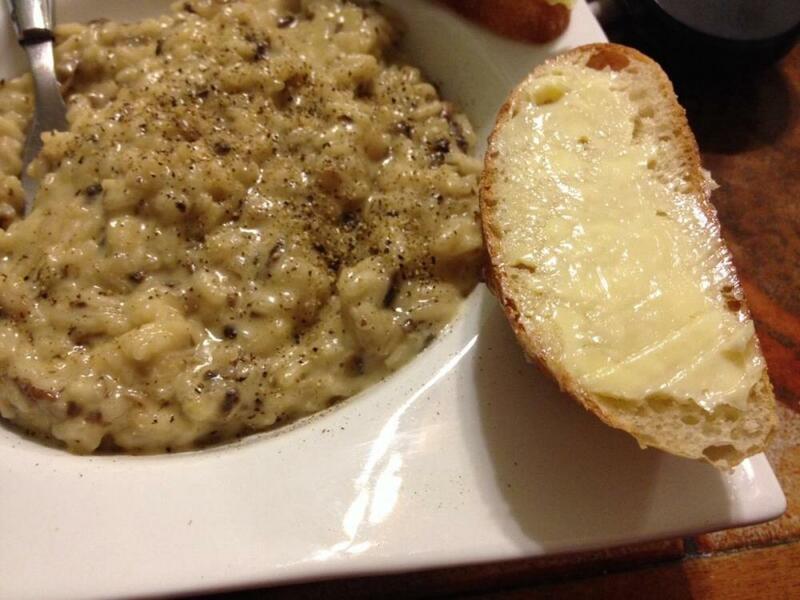 Mushroom risotto with slices of home-made baguette. So I had a cheese and charcuterie plate instead. Cheeses included Wisconsin white cheddar, aged gouda, aged havarti, and Oregon blue. Charcuterie came from a wonderful shop in Memphis where they cure their own -- my choices were duck proscuitto and loma embuchado. I loved the loma embuchado with the Oregon cheddar, while the duck was great with the aged gouda. Crackers spread with a bit of cream cheese (my creme fraiche, I discovered, was no longer "fraiche"), along with some buttered radishes with sea salt, some most excellent sweet pickles with horseradish (Boar's Head brand; I highly recommend 'em), and some Castelvetrano olives rounded out the plate. No soup for me. Had to visit a warehouse store to restock certain freezer goods and found some nice looking lean beef. It was cold. It was windy. I needed meatloaf ...and mashed potatoes ... and cranberry honey glazed carrots. 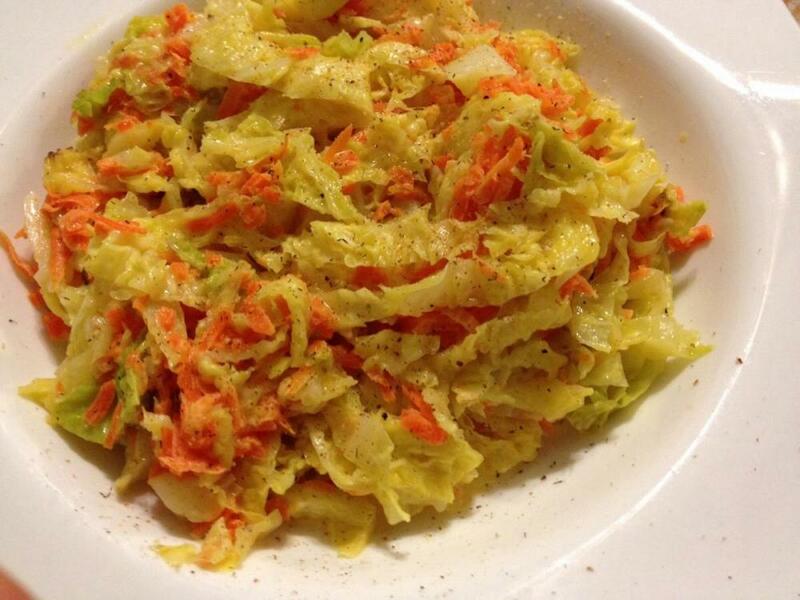 Cabbage and carrots lightly sauteed then finished with butter, cream and nutmeg. My mother used to make cabbage and carrots endlessly! However, and unfortunately they never looked anything like yours Anna. Thanks, @Okanagancook. Was rather desperate for something simple and for which I just might have the necessary ingredients. Ran across a recipe similar to this and adapted it to my abilities. It was good enough that I would definitely repeat it. More and more I find myself satisfied with meals that include no slabs of protein. Would never have predicted such an adjustment. It is not for reasons of health, ethics or anything else other than that sometimes I just want vegetables. I honestly believed I was a dyed in the wool carnivore. BonVivant, your smoked soup is so beautifully presented. Liamsaut, Would love your dinner. I never think to buy just lobster tails. I need to do that. I made french fries à la Shelby for supper and they were delicious. By the way, has anyone tried this using sweet potatoes? We love sweet potato fries. If I recall correctly, the first place I saw the cold oil start for fries was CI and they specifically said it would not work for sweet potatoes. I took them at their word and have not tried, If anyone else has, and has been successful - please post. Thank you. By the time I read this, I had already plunked a sweet potato in the oil so I decided to keep going with it. As stated, they do not crisp up. My husband did some googling and found someone who claimed to have made crispy sweet potato fries. 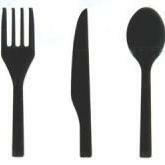 The site was familystylefood.com. She cut the spuds up into 1/2" planks, and put them into room temperature oil. She turned the heat on high and once the oil started bubbling "vigorously" she set a timer for 15 minutes, keeping the oil to between 275 and 300. She then cooked them for another 5 to 10 minutes. I am skeptical but I do have another sweet potato so I may try this tomorrow just for a laugh. Meanwhile, off to make regular fries à la Shelby to go with our back ribs for supper. Good luck! Hope it works because the ATK method, while it works, is cumbersome. Recently I've been using my spiralizer and trying to find the fine line between burned and crisp. So here is our dinner - doesn't look like much but it sure was tasty! 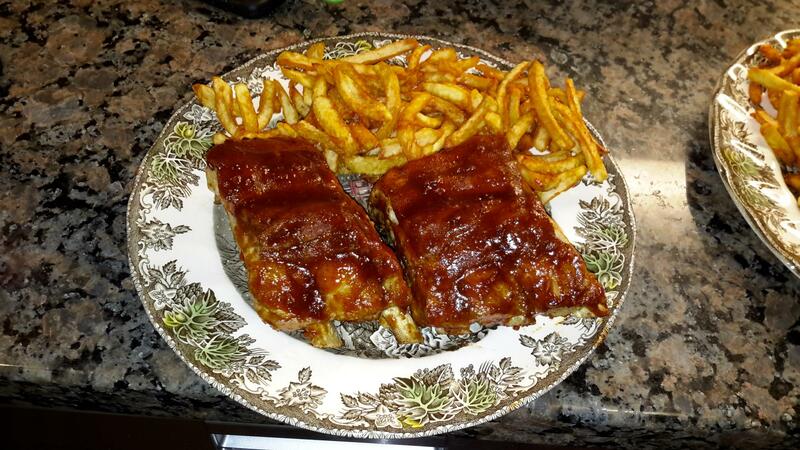 Baby back ribs and Shelby's fries. 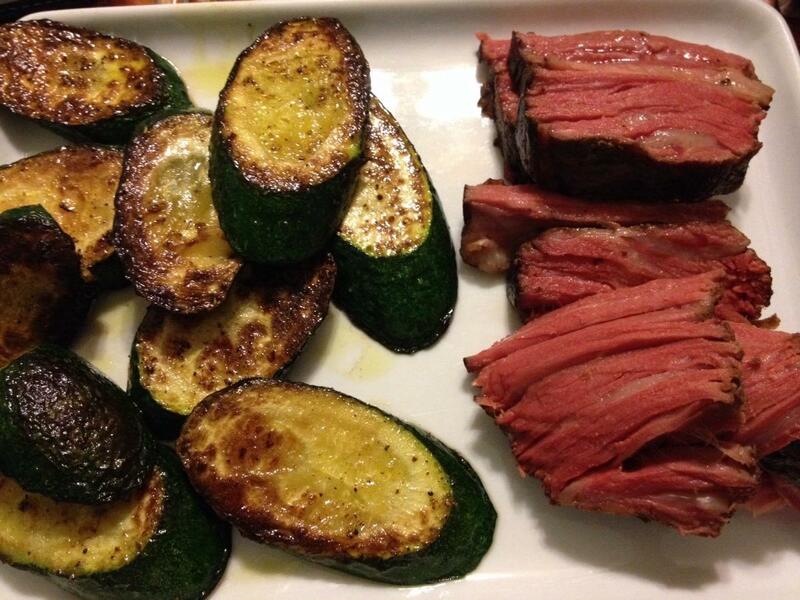 Chuck eye cooked SV x 24 hours @ 56C and sauteed zucchini. 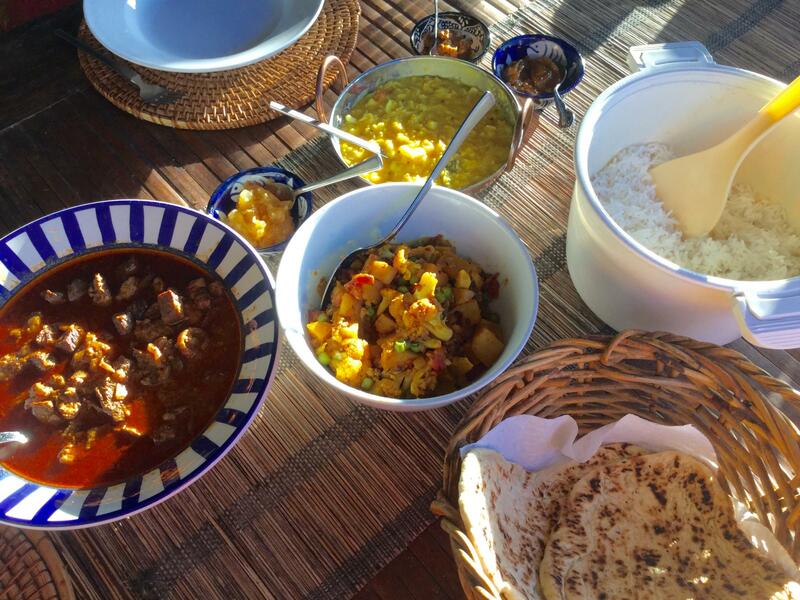 Rogan Josh - beef in a spicy yoghurt sauce. Potato, cauliflower and peas veggie curry. Dal with cabbage, steamed basmati rice, lime pickles, hot mango pickle and papaya chutney, plus naan bread. Interesting. I've never had beef in rogan josh - only the traditional lamb. Lovely looking meal, though. Thanks @liuzhou, you're right, lamb is traditional, but he who must be considered is not fond of lamb. I adapt.